It’s not just about bubble tea. For all that’s been said about Chinese food, relatively little has been celebrated of the food of Taiwan in the Western world. At last, a cookbook that highlights the incredible scope of delicacies enjoyed in Taiwan today—along with authentic recipes, The Food of Taiwan explores the unique social and environmental factors that helped inform them, and the proud cultures that have contributed to them. Taiwan has been recognized as a stronghold of traditional arts and culture from China. But there is much more to Taiwanese cuisine—including its humble peasant foods, plentiful seafood, colorful herbs and spices, and the ways it has incorporated flavors from abroad, making them into something entirely new. As a whole, this cuisine transcends political or ethnic boundaries, and it continues to grow in myriad ways. This book’s humble mission is to inspire more dialogue on the food of Taiwan. Reprinted with permission from The Food of Taiwan: Recipes From the Beautiful Island by Cathy Erway, © 2015. Published by Houghton Mifflin Harcourt. All rights reserved. Photography by Pete Lee, © 2015. Autographed copies of The Food of Taiwan are available from Omnivore Books on Food. We urge you to purchase the book from your local bookshop, or through our affiliate links with Amazon or IndieBound. There are many sweet-and-sour sauces based on plums, dates, and other fruits. I was attracted to a dish of pan-fried tofu with date sauce on one of my most recent trips to Taiwan because it reflected this natural approach to an otherwise common sweet-and-sour sauce, with wonderful nuances of flavor. Dried dates come in many varieties in Taiwan, but the dried brown dates found in most U.S. groceries works fine to achieve this concentrated fruity flavor. It is a little time-consuming to make the sauce from scratch rather than find a jar of date or plum sauce, but well worth the effort for the natural richness of flavor. For the sauce: In a small saucepan, cover the dates with 1 cup of the water (or enough water to just cover) and bring to a boil. Cover the pot, remove from the heat, and let the dates soak for at least 30 minutes or preferably 1 hour. Transfer the mixture to a blender or food processor and puree for several minutes until there are no more visible chunks. Strain through a fine-mesh colander and press through with a spatula to extract all the thick puree while removing the bits of skin. Bring the strained date mixture just to a boil in a small saucepan. Stir in the vinegar, soy sauce, and sugar and taste for seasoning, adding additional vinegar, soy sauce, or sugar as desired. In a small bowl, stir together the cornstarch and the remaining [1/4] cup water. Stir the cornstarch mixture into the sauce. Cook until the sauce bubbles and thickens, about 30 seconds, then remove from the heat. To continue: Heat the oil in a wide saucepan or wok over medium-high heat. Once very hot, arrange the tofu slabs in a single layer so that the undersides have full contact with the pan (you may need to work in batches). Sprinkle with salt. Cook until the undersides are lightly browned, about 1 minute, and then flip to brown the other side. If working in batches, repeat with the remaining tofu. Once all the tofu pieces are gently browned on both sides, return to the pan and toss very gently with the sauce. Serve immediately. This traditional southern Taiwanese snack incorporates many Taiwanese penchants: a chewy, jellylike starch; a thick, sweetened sauce; and a savory, pork-studded filling. This dish is translated as “meatball” in Taiwan, but it’s actually a ball of clear, stretchy starch stuffed with meat. So I took the liberty of naming it “meatball mochi”—due to its similarities with the soft, chewy stuffed dessert. For the filling: In a large bowl, combine the pork, bamboo shoots, soy sauce, cornstarch, salt, and white pepper. You can do this up to a day ahead and store, covered, in the refrigerator. For the wrapper: In a large bowl, combine the rice flour and ¼ cup of the cold water and mix until smooth. Whisk in the boiling water and stir well to eliminate any lumps and create a milky, translucent, thick liquid. Combine the sweet potato starch, cornstarch, and the remaining ¾ cup cold water in a separate bowl. Pour this mixture into the warm rice flour mixture and stir thoroughly until the mixture is thick and there are no lumps (if there are many visible lumps, strain the mixture through a colander). To continue: Prepare a large steamer with boiling water underneath. Grease the insides of four small, round ramekins (or rice bowls or round sauce dishes) with oil. Scoop about 1 tablespoon of the mochi mixture and spread it on the bottom of the bowl. Place a small scoop of the filling on top of the mixture, followed by another scoop of the mochi mixture. Spread it over to cover the meat mixture completely. Place the bowls in the steamer and steam until the starch is clear and set, about 15 minutes. Remove the bowls carefully. Ladle a scoop of your preferred sauce over each ball and top with the cilantro to serve. Cathy Erway is the author of The Art of Eating In: How I Learned to Stop Spending and Love the Stove (via Amazon or Indiebound) which USA Today said “deserves a toast” and was named one of the “Top Favorite Cookbooks” of 2010 by Serious Eats. It was based on her two years of going without restaurant food and her popular blog on that topic, Not Eating Out in New York. In the process of rediscovering the merits of the home-cooked meal, she explored the underbelly of New York City’s food culture, cooking for supper clubs, organizing amateur cook-offs, trash diving with the “freegan” community and foraging for wild edibles in the park. Cathy has written about food at The Huffington Post, Saveur, PAPER, Serious Eats, Civil Eats, The L Magazine, Edible Manhattan and Edible Brooklyn. Cathy hosts the weekly talk radio podcast, Eat Your Words, on Heritage Radio Network. 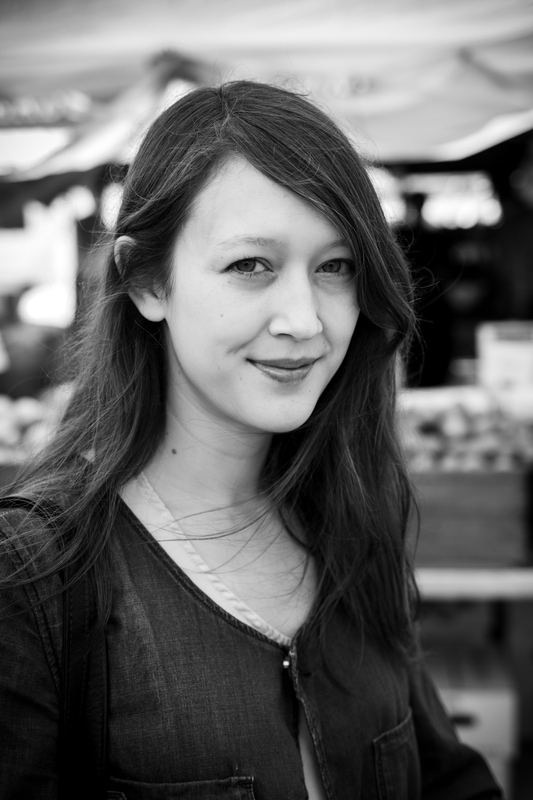 Cathy co-founded the half-Asian social group and supper club, The Hapa Kitchen. She has hosted numerous fundraiser events for local food causes. She lives, writes, cooks and grows in Brooklyn. This entry was posted in Eat and tagged Eat, Food of Taiwan, tofu. Bookmark the permalink.